We own the land. We plant the grapes. We make our own wine. 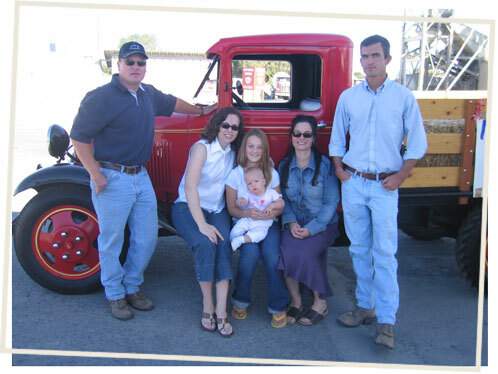 Known today for its namesake wines, the Jones Family also has a well-earned reputation, stretching back decades, for growing other bountiful crops in the Quincy area and Columbia Basin. In the early 1950s, W.E. (Web) and Millie Jones began farming potatoes, just as the “spigot” was turned on releasing water from Grand Coulee Dam via canals to the Columbia Basin, which was part of the largest water reclamation project in the United Sates. Quincy had long been home to sandy soils, but scant annual rainfall made it virtually impossible to grow crops. What were once arid and dry lands were quickly transformed into an oasis. The Jones’ first farm lands were east of the town of George and north of what is now Interstate-90. Potatoes were sold from the community of Winchester, located just east of Quincy. Over the next few decades the family operation, led by son Jack Jones, harvested in addition to potatoes — corn, beans, onions, apples and several other crops. As others began farming in the area, the Columbia Basin evolved into one of the most productive and diverse growing areas in the entire United States. Always looking for new challenges, Jack entered the world of viticulture in 1997. He designed and planted various vineyards in the Wahluke Slope Appellation and the first grapes Jones sold were to a large Western Washington winery looking to expand production. It was clear to Jack, that with such quality estate grapes available, he should create a start-up boutique winery. Thus, in 2001 Jones of Washington was born and the winery released its first wine, a 2001 Merlot in 2003. The timing was good — Jack Jones’ diversification into vineyards came just as the Columbia Basin was gaining itself a reputation as one of the best wine grape locations in the nation. Since then the Jones Family has also went on to establish vineyards in and around the Ancient Lake Appellation near Quincy, which has become home to many of our award winning white wines. 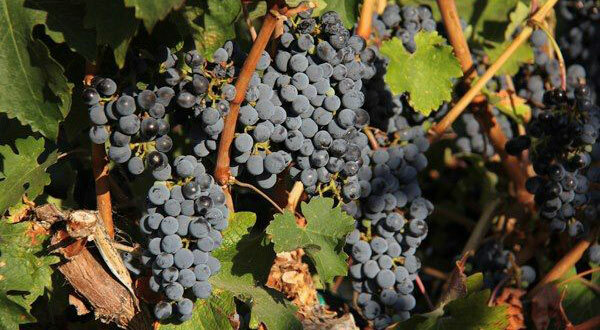 Today, the Jones Family owns several vineyards in the Quincy and Mattawa areas and co-owns a Mattawa bulk wine producer, J&S Crushing, which was started in 2008. The family also continues to harvest many row crops. Jack Jones’ sons, Jeff and Greg, manage the family vineyards, while daughters Megan and Maureen help out with special events. Jack’s efforts were recognized in the spring of 2012 as Jones of Washington was selected as the Washington Winery of the Year by Wine Press Northwest Magazine out of nearly 700 operating wineries at the time. Jones of Washington now offers over 15 different wines annually and is currently available in 12 states plus the District of Columbia. After starting Jones of Washington, Jack Jones was really pleased with the wine industries response to Washington State wine. Therefore, it only made sense that he start a custom grape crushing plant near the Sentinel Gap near Mattawa, WA. He was a founding partner, along with Shaw Vineyards, of J&S Crushing, which was established in 2008. J&S Crushing has since gone on to become Washington’s 3rd largest premium wine facility. Jones of Washington is fortunate to have an affiliation with J& S as it allows the winery to use some of the most innovative technology in the industry today to fashion the highest quality wines for our consumers. 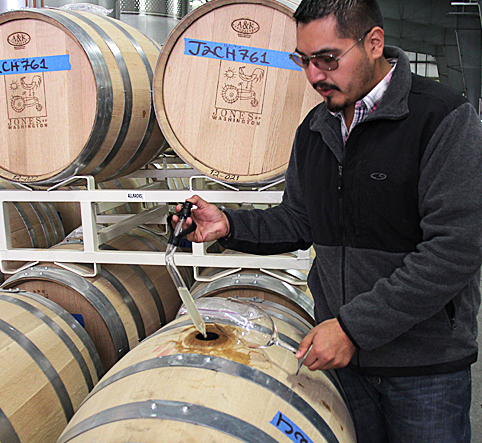 When our award-winning winemaker Victor Palencia was hired by Jones of Washington in 2008, he was but 23 years of age. But don’t let that number fool you. By the age of 13, Victor was already working among the grapes, following his father who tended vineyards in the Prosser area of Washington State, and as a kid he would work in the vineyards after school. Three years later — at an age when most teens are just learning to drive — Victor was a mainstay at Prosser’s Willow Crest Winery, thanks to owner Dave Minic who gave Victor access to his winemaker and then brought him aboard as an employee. After graduating from Prosser High School, Victor attended Walla Walla Community College, where his studies were focused around the college’s renowned wine-making program. He ended up being the first in his family to earn a college degree. 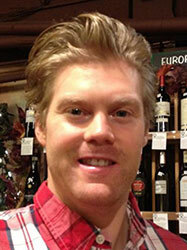 After a return to Willow Crest, Victor joined Jones of Washington as head winemaker in 2008 — at that young age of 23. Since then, Jones has won numerous medals and awards. Victor is quick to point to one of the main reasons for that success — the Jones vineyard in what is arguably one of the best wine-grape regions in the West. Victor credits his family, which includes eight siblings, as well as other winemakers in Eastern Washington, for helping him along the way. Debbie first began working for the Jones family in 2004 when she accepted a financial position with Jones Produce Co. That led to work in the field of wine accounting. Today, Debbie oversees all phases of Jones of Washington’s accounting work. Debbie grew up in the Coeur d’Alene, Idaho, area. 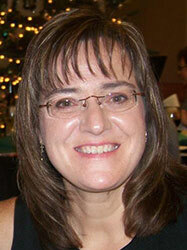 She graduated with an associate degree in business administration from North Idaho College in 1989. She moved to Washington state and the Moses Lake area in 1992, where she did accounting work for a retail store for the next 11 years. 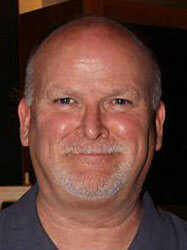 Allan Williams joined Jones of Washington in 2007 as an in-house distributor in North Central Washington, after having worked in the wine and beverage industry since 1991. In early 2009, he was promoted to Jones’ director of sales and marketing. In that capacity, he is involved in all company operations except winemaking and production. Over the past several years, Allan has poured wine at about 100 tastings annually. He and his wife, Allison, reside in Wenatchee with their two sons. Rhett became part of the Jones of Washington’s sales and marketing team in early 2014. He focuses on the company’s wine club and online sales, works with distributors and oversees the winery’s tasting rooms in Quincy and at Pybus Public Market in Wenatchee. He holds a bachelor’s degree in marketing from Eastern Washington University in Cheney, his hometown, and a bachelor’s degree in Global Wine Studies from Central Washington University in Ellensburg. Rhett and his new wife of less than a year, Lisa, make home camp in Wenatchee. Ken served in the Navy and retired from Boeing after 27 years where he was a manager in Quality Control. Mara has always been in the restaurant business as an owner/manager. At the young age of 17, she owned 3 pizza restaurants in Indiana and then moved to San Diego and opened a Roasted Chicken Restaurant. Mara met Ken in San Diego, got married and then moved to Washington in 1981. This is where they opened and managed 26 Keg Steakhouse & Bar Restaurants for over 20 years. Mara’s first meeting was with Jack Jones in 2006 to work with him and Megan to brand Jones and open the first tasting room. 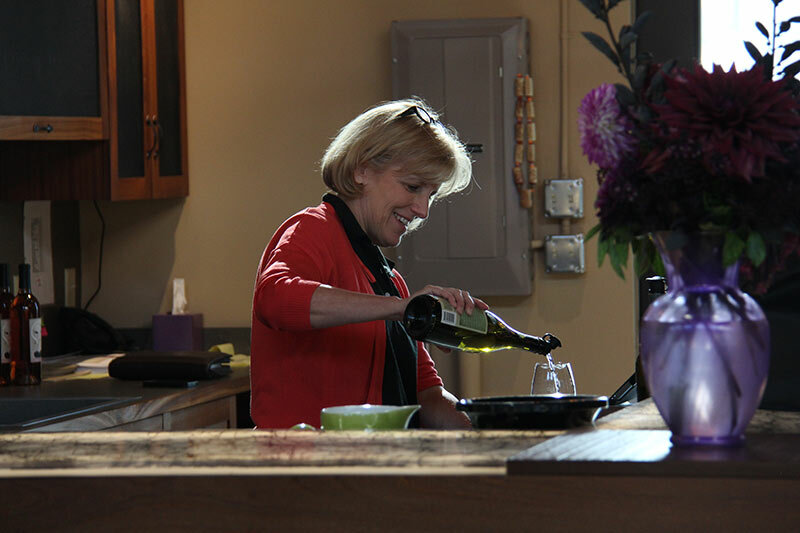 Her and Ken have been operating the Quincy Tasting Room since 2007. KC is mom to two adult children who are both married and currently live in the Tri-Cities. She has been married to her husband Case, who Operations Manager at J&S Crushing, for 37 years. They have one grandchild, Jackson, who is the light of their lives. Before coming on board with Jones, KC was a teacher and principal, in which she finished her education career at Eastmont School District. 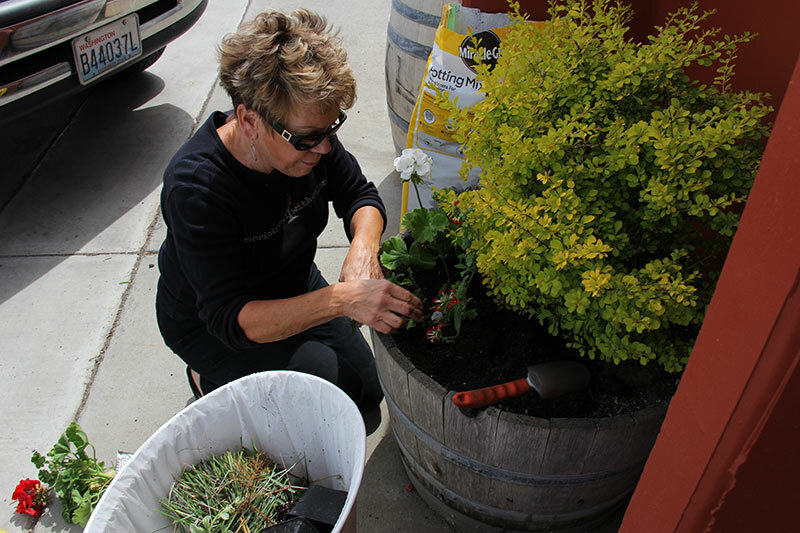 She started working as the tasting room manager at Pybus Market in May of 2013, when the market first opened.